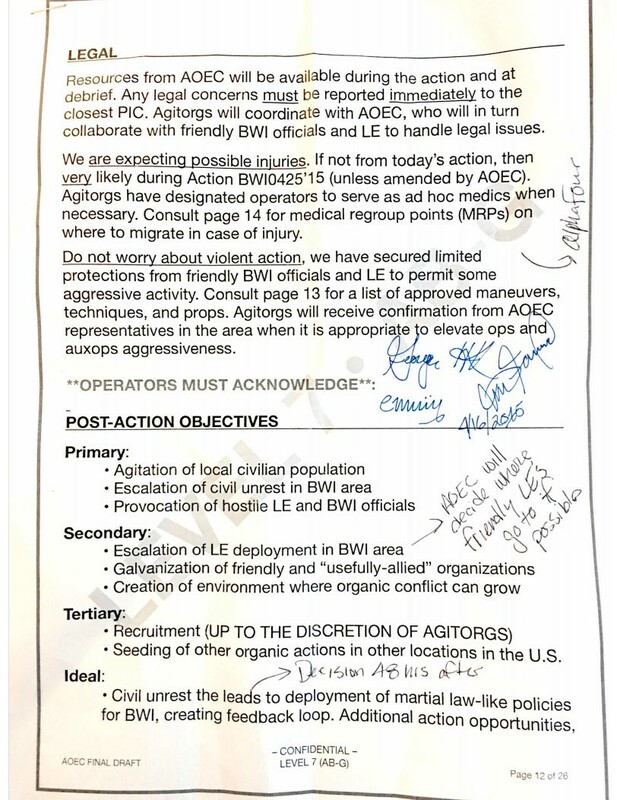 Although the documents reproduced below by intelligence analyst and instructor Dr. Lyle Rapacki detail events surrounding the Baltimore riots back in 2015, they still contain valuable intelligence describing organizational, training, and operational methods for a number of George Soros organizations under the umbrella of the ANTIFA movement (Anti-Fascism Group). 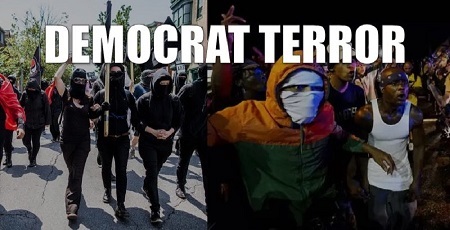 The revelation of these documents and content demonstrate that training and monies were very much a part of the riots as earlier Intel reports revealed they most likely would be, according to Dr. Rapacki in his latest law enforcement and security briefing. 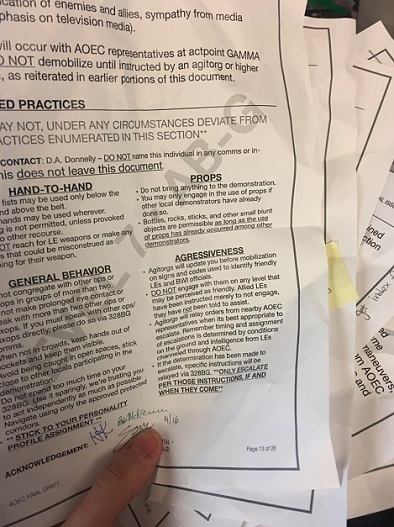 The documents – provided to the editor of Conservative Base by Rapacki — reveal a high level of organizational structure, with strong financial backing, and well-planned and practiced tactics. 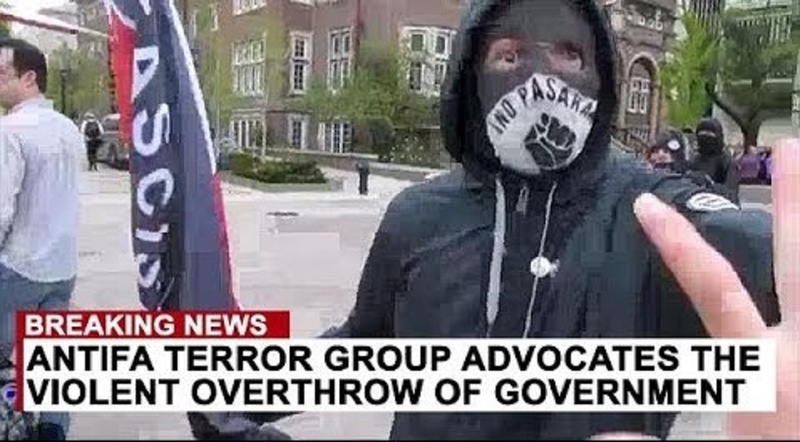 “It is highly anticipated that future confrontations will be better prepared, equipped, organized and financed,” said Rapacki, who owns and operates the private security firm Sentinel Intelligence Services, LLC. 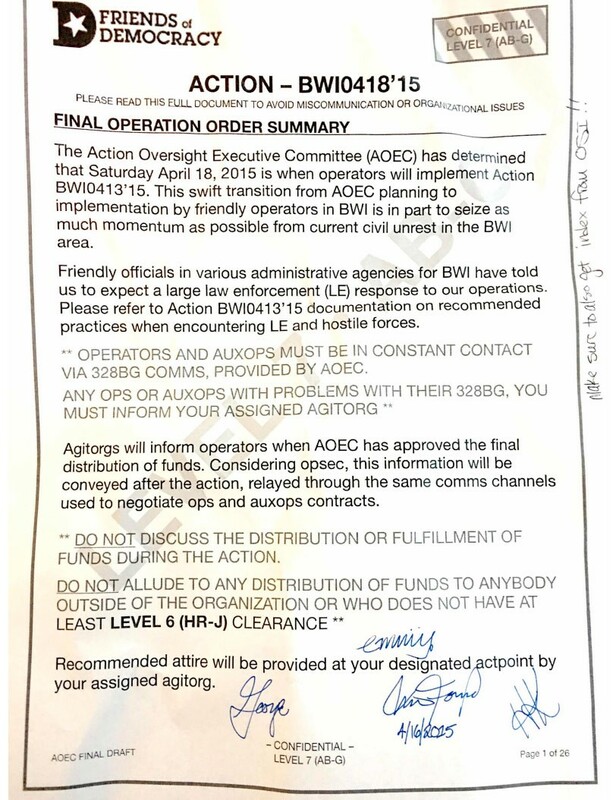 According to the documents (reprinted below), the group sought to use the protests over the death of Freddie Gray – who died while in police custody – as a detonator for larger violent demonstrations in the Baltimore area. 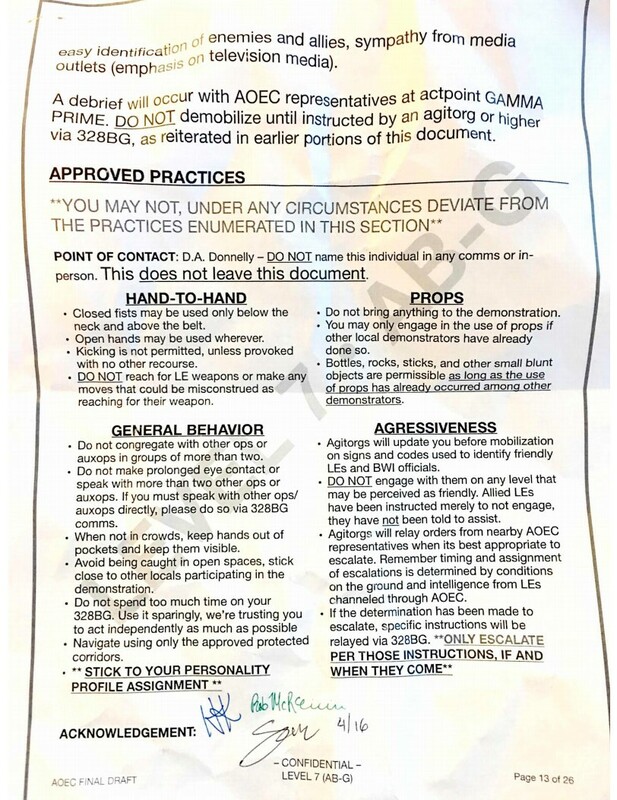 “Do not worry about violent action, we have secured limited protections from friendly BWI officials and LE to permit some aggressive activity,” one ANTIFA memo states. 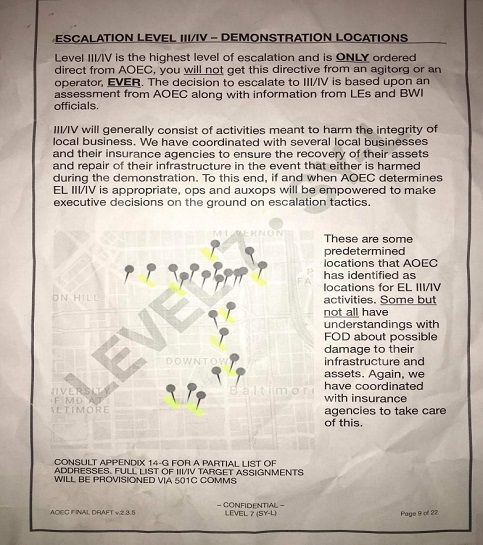 Dates mentioned in the documents, Saturday April 18, 2015 and Saturday April 25, 2015, coincide with the actual Baltimore riot dates.